This is a guest blog post from Anesha Collins, an award-winning Wedding Photographer & Cinematographer currently based in Orlando, Florida that also specializes in video-marketing and content creation. Have you ever wondered why you’re attracted to certain content that pulls you in, while other pieces of content does not. Whether a movie, a blog post, or even a podcast episode, the content we consume is made for us. Literally, when the content creator is developing content for their audience (when done right), that is the first person they have their mind – you. This is the same for video content. Using video to create a personalized experience is achievable for all business owners, it’s the implementation part that usually separates one business from another or separates the experience had by the consumer from one business to another. The internet is full of a lot of businesses. Some may even do exactly what you do, but the key variable is that they will never be you. That’s the one thing that another business can never take away from you. This is where using video at certain touch-points within the consumer experience can really make the difference and also remove the “salesy” feeling that a lot of business owners struggle with. Using video on your pricing page not only makes understanding your services or products better, it conveys to your target audience that you are trustworthy. Where most business owners flee from showing their face or sometimes having face to face conversations about pricing, this is where you can shine. A simple 30-60 second video on your pricing page can really convince the consumer to go with you over another business. The about page is one of the most visited pages on a website after the contact and pricing page. This is where the consumer really learns more about the business they want to invest in; small or big they want to know who is behind the brand and the why. Sharing the “why” can actually level up the brand experience. Using video to share the “why” taps into the emotional-buyer process. Some people say that blogging is dead, but it’s not. Long-form blogging may be less preferred, but to say blogging is completely dead isn’t accurate at all. In fact, adding video to your blog or curating your blog strategy to incorporate consistent video-blogs is a great way to bring your audience into the driver’s seat of your business or highlight something that makes you different. For example, I host a LIVE SHOW for my Brides. 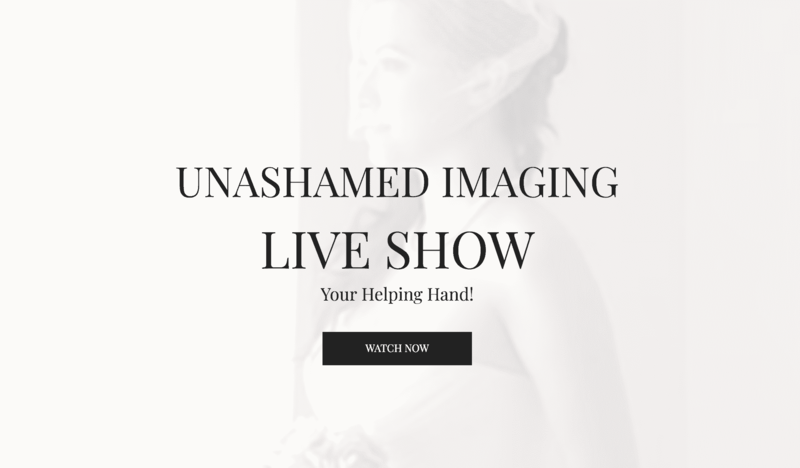 On this show I share real weddings, tips, advice, and sometimes marriage-related content. I then repurpose some of this content on my blog and link my couples to relevant content when applicable. When my Brides have trouble sleeping the night before their wedding, I send this video. My Brides literally tell me, “I watched this video yesterday and it helped me so much!” Creating evergreen content should be your goal with video. Be the reliable resource and problem-solver. The contact page is another high-traffic page on most websites. Placing a video on this page can actually remind the consumer why they need you over another business. Again, it’s not about placing a random video and calling it a day. Be extremely intentionally with what video you’re showcasing on this page. By 2021, video will be the number one method of marketing. This means that pretty pictures won’t have the same impact – if any at all. There is more of a guarantee that your future client will ask to see a video or expect to see video being used within your business as a new normal. Use of a product like the PhotoFlashDrive PlayBook is a great way to showcase your services and products. It will save a lot of time and also avoid having to carry so much with you to consultations and more. For example, let’s say you’re a Wedding Photographer and guest at a wedding want to see some of your work. While you’d love to pull up a chair and chat, that’s not always a possibility, so having a PlayBook can help you engage with the guest at the wedding without neglecting your couples. Imagine the impact you’d have on the guest and more with a PlayBook that showcases weddings you’ve done or even the wedding you’re shooting (day-of) if you have an Editor on site to edit some shots for you. If you’re really swift and incorporate same-day-edits as apart of your experience, you can use the PlayBook to also showcase a same-day video edit. It’s a total win! What if you stood out and connected with your target audience using video in your business? Download this Guide! This guide was developed after several years of experience helping creatives and business owners leverage their businesses using video. I love video-marketing, and I want other creatives and business owners to use this marketing method the right way – ultimately to grow their businesses. I know how much video-marketing (done the wrong way), can hurt a business; that’s why I created this guide. Video-marketing is easy, very practical, and worth investing in. I’m here to help you – using my T.A.C.O. Video-Marketing method! 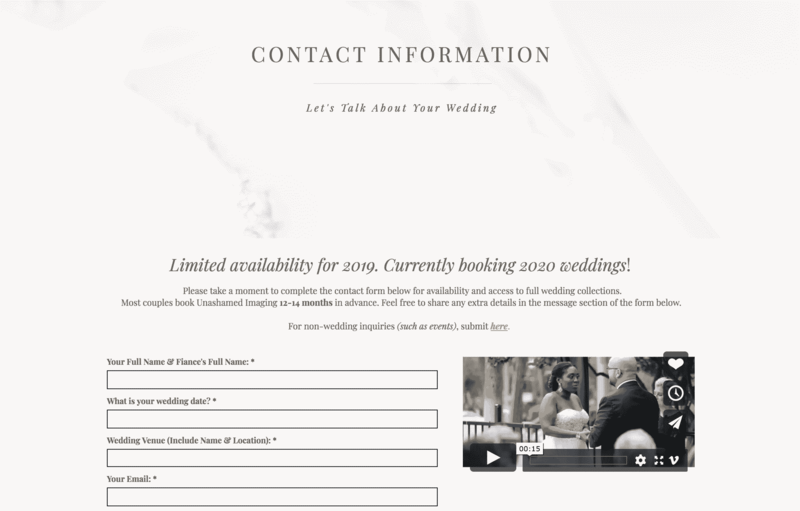 Anesha Collins is an award-winning Wedding Photographer & Cinematographer currently based in Orlando, Florida that also specializes in video-marketing and content creation. She’s the founder of LEARNWITHAC, where she empowers business owners and creative entrepreneurs with the knowledge they need to incorporate video marketing into their businesses. She has taught video-marketing on both local and national platforms and will also be speaking at WPPI 2019 in Las Vegas. One of her most remarkable moments throughout her career was creating a sneaker-promotional video for Gary Vaynerchuk. She also helped to build the visual presence of a company that has hosted over 435 events, with a reach of over 400,000 people and still growing. This company has grown an audience of over 72,000 followers on social media, has been featured on O.W.N. Television Network and has also hosted several worldwide tours. Her work has been featured in The Huffington Post, The Knot, BRIDES, MunaLuchi Bridal Magazine, the NFL, BlackBride1998, Orlando Magazine and more. She is also the recipient of Orlando Florida’s 2017 & 2018 Best of Weddings Award for Best Videographer & Best Photographer. This entry was posted in Tips & Tricks and tagged business tips, Delivery Tools, PlayBook.